It seems that endurance athletes really love The Feed Zone Cookbook; VeloPress has sold out of the first print run. Copies are still available, but they are becoming hard to find. You can check real-time stock of your local independent bookstore using IndieBound. Your local bike, tri, or running shop may also have a copy, and some Barnes & Noble locations have the book on their shelves. The next printing of The Feed Zone Cookbook will arrive at our warehouse on February 2, but it is already heavily backordered. If you cannot find a copy now, we recommend reserving a copy as soon as you can. 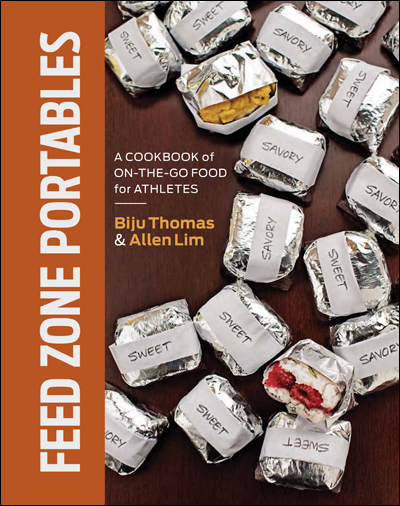 Order this week to receive The Feed Zone Cookbook between February 6 and 10 (delivery time varies depending on the retailer). We apologize if you’ve had trouble finding a copy of the book. More reprints of the book are underway to meet demand in the coming months. In the meantime, please try out the free recipes on this website while you’re waiting to receive your copy.